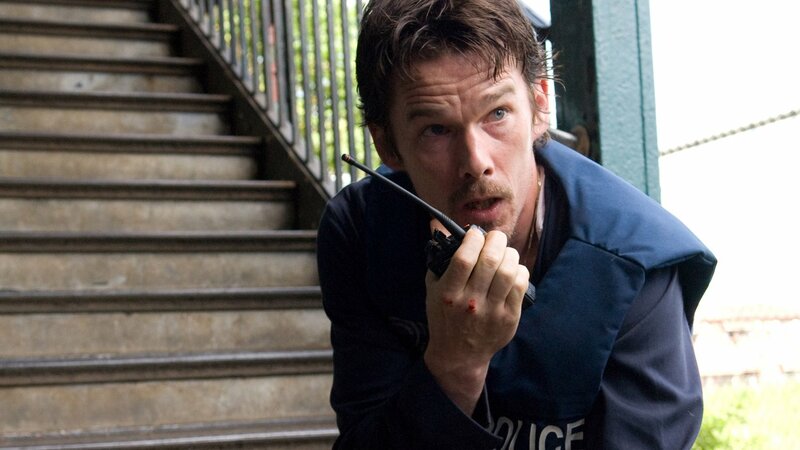 Ethan Hawke is the latest actor to join the impressive cast of RZA’s new film project Cut Throat City. The film is a heist thriller set in New Orleans in the wake of Hurricane Katrina. Hawke joins the previously cast Terrence Howard, Wesley Snipes, Eiza González, Kat Graham, Tip “T.I.” Harris, Joel David Moore, Isaiah Washington, Keean Johnson, Sam Daly, Denzel Whitaker, Rob Morgan, Rich Paul, Demetrius Shipp Jr., and Shameik Moore. Wu Tang Clan’s RZA is directing the film based on a script from P.G. Cuscheri. I really like this cast, and it seems like this film is going to tell a solid story. RZA tends to make crazy movies, and I’m looking forward to seeing how this one turns out.